On Monday, April 18, 2011, the Polk County Sheriff�s Office received a 911 call reporting a disturbance on Knob Hill Road approximately 3 miles east of Livingston on Hwy 190. The caller reported the assailant was armed with a handgun and had threatened family members. Deputies arrived at the residence and were confronted by the assailant on the front porch armed with a pistol. The assailant retreated into the residence as all family members were safely evacuated to neighboring homes. Polk County Sheriff�s Deputies along with the assistance from Troopers from the Texas Highway Patrol, Game Wardens from the Texas Parks and Wildlife and a Polk County Pct. 3 Constable�s Deputy established a perimeter around the residence. 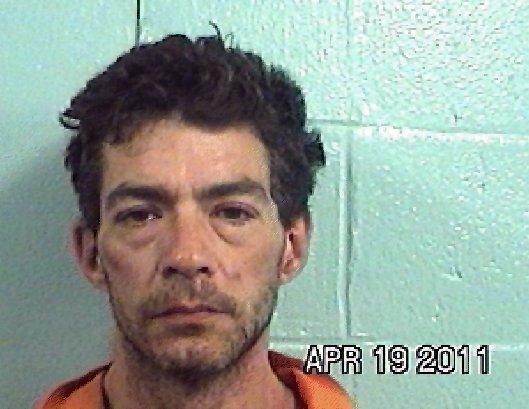 The assailant was identified as Norman Joseph Fortin a 44 year old male of Livingston, Texas. The Polk County Sheriff�s Office Special Response Team which includes Pct. 4 Constable Dana �Bubba� Piper was summoned to the scene for tactical closure of the situation. Texas Rangers from Polk County, Walker County and Angelina County also assisted at the scene in an attempt to establish communications with Fortin. After several attempts to establish communications with Fortin had failed, members of the Lufkin Police Department Special Response Team were summoned to the scene with specialized camera equipment designed for searching the residence. At 12:30 a.m. Fortin was located inside a bedroom of the residence. Fortin was taken into custody without incident. Fortin was transported to the Livingston Memorial Hospital by Americare Ambulance Services to be evaluated. After being treated by the Livingston Memorial Hospital, Fortin was transported to the Polk County Jail charged with Deadly Conduct.